It's that time of year again, when optimistic bloggers pick the challenges that they really, really think they will finish in the coming year. I love a good challenge, and I have a healthy attitude about finishing them--or not (just see my post on challenges). Anyway, here are four that I am definitely joining. 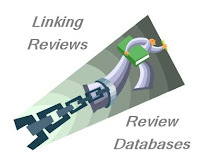 The wonderful J. Kaye of J. Kaye's Book Blog is hosting the first three. The 2010 YA Reading Challenge has four levels. I'm joining in the Mini Challenge, which is a commitment of 12 books. The 100+ Reading Challenge is pretty self-explanatory: I have committed to reading at least 100 books next year. The Support Your Local Library is an important challenge, and one that everyone should consider. I am committing to the Mini Challenge, which is 25 books. 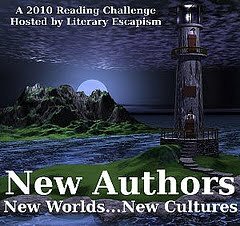 The New Author Challenge is once again being hosted by Jackie at Literary Escapism. For this challenge, you pick your own level of commitment; I'm going for 25 new authors in 2010. For more information about these challenges and to sign up, click on the challenge name. I have at least five more challenges that I plan to join, so you'll see some more challenge announcement posts before the year is out. 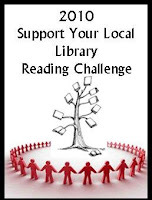 I'll be signing up for the 100+ and Support your library challenges as well. Just have to get my posts sorted out. I've been holding back on signing up for any new challenges, but I'll probably break down soon. The 100+ looks like a good one. Good luck! The 100+ and The Support Your Local Library are 2 challenges I never have any problem with, so those are sure things. I am only signing up for 5 to start the new year. I signed up for the New Author Challenge as well. Fun discovering new authors. I'm on board for three of the four you list here as well! I'm definitely going to do the YA challenge (but will do the 75 books version), the 100+ ties in well with that and the new author challenge sounds like a great way to expose myself to work I've not yet experienced. Good luck with your challenges you always do so well with them! The 100+ Challenge and the Support Your Library Challenge are no-brainers for me. I need to make sure I get in on these! 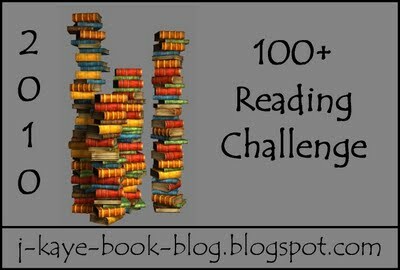 I am doing the 100+ challenge this year and I am at 80 books, 77 for the blog since I am only counting what I reviewed. It is more than I have ever read in a year before and I am very excited and proud of that! However, I am probably going to see if I make it this year before signing up for it again next year. The YA challenge looks interesting to me though, as I am a recent admirer of the genre. Welcome to the Young Adult, 100+, and Support Your Local Library Reading Challenges! 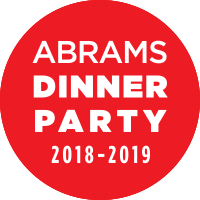 2010 is going to be a fun year! I'm eyeing for that New Authors Challenge though I'll have to give the 100+ Challenge a miss. Don't think I'll be able to reach that goal, haha! Have fun with the challenges, Beth! It is fun to see the buttons all laid out together. I've been steadily reviewing and picking challenges for 2010 myself ... I'm trying to be more realistic this year and not overpromise myself!